Some machines are scraped completely, except for the table on the Bridgeport and beds on lathes, which can be surface ground. Hand grinding hardened ways, such as scraping using a small electric grinder. This eliminates the complete disassembly of CNC machines, hauling and surface grinding. Specializing in resurfacing ways and aligning. We replace the gears, bearings, lead screws, nuts and components (as needed). Grinding and scraping machine tool's ways. This makes the machine's axis parallel and perpendicular to one another. Replacing worn or deteriorating slide way plastic material. Aligning machine slides to factory specifications. New bearing ways are installed when the machine runs too noisy and is no longer accurate. out-of-date or no longer sold parts. 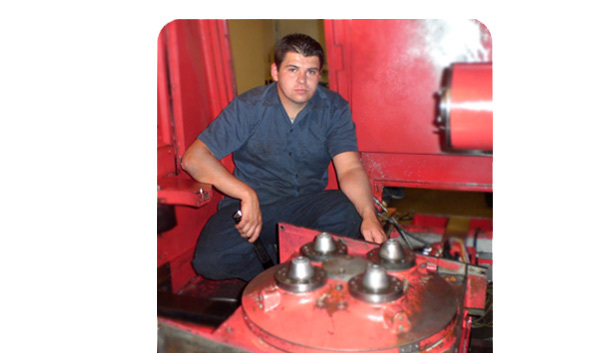 Preventive maintenance is fundamental to ensuring that your machine will operate at its best. We perform a full inspection of the machine adjusting the gibs, lead screw nuts and bearings. We replace the lubricant filters and valves along with the hydraulic and lubricant oils.